Veddw House Garden is the work of Anne Wareham and Charles Hawes. Set on a sloping site, not far from Monmouth, it looks out across the gentle landscape of the Welsh Borders. Don’t feel obliged to read all the wonderful reviews of this garden before you visit. Instead, enjoy the surprises – the clever twists and unexpected interpretations introduced by its thoughtful gardeners. It’s a place that deserves and generates quiet contemplation – a perfect venue for a Silent Space. Charles’ Wood is Veddw’s Silent Space. 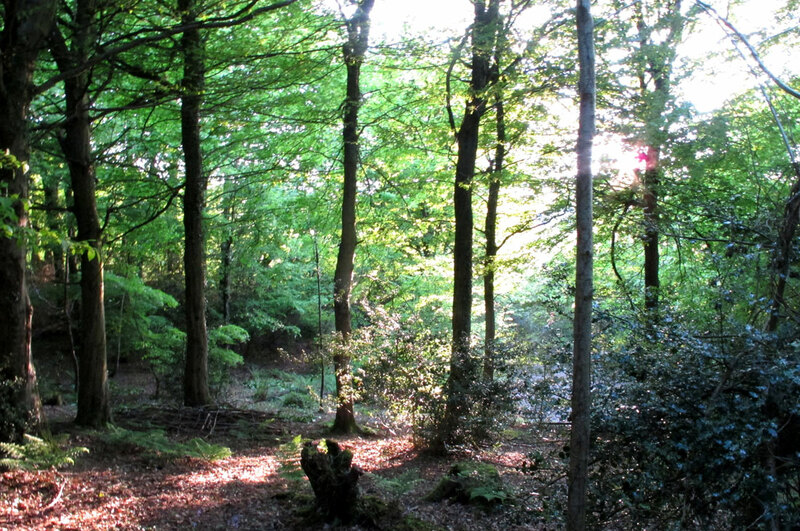 A tranquil area of woodland above the garden, bought from the Forestry Commission a few years after Anne and Charles moved in. The couple have planted trees and shrubs, but their aim has been to add interest without losing the wood’s character.